In the ruthless world of MMOs only the strong survive, and even a established franchise isn’t a guarantee of success. Take Halo, for example, it would be perfect for such a genre. but yet development failed. Other games are canceled due to budget, development problems (like technical issues or poor developer-publisher relations) and what-not. But we still want to play them. Read about some of the best MMOs that never were. 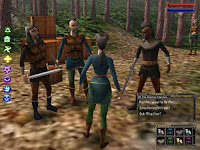 Dragon Empires was Codemasters’ first attempt at the MMO world. It looked great at the time (circa 2001 – 2002) and had made quite some noise with players and industry. 120,000 gamers signed up for the beta and everything looked extremely promising in this pre-World of Warcraft era. However, the release date was pushed for more than a year later until the bomb dropped: Dragon Empires had been cancelled due to technical issues. Oh well. It would rock because: It’s a long shot, but we’ll just say it anyway: what if World of Warcraft would be seen today as second to Dragon Empires? Codemasters apparently had it all: a beautiful engine, a world with deep interactivity and even players were interested in the game. Talk about a missed opportunity. It’s not exactly cancelled (at least officially) and there’s every chance that it will end up as reality in a few (a lot of) years – that seems to be the plan from Bethesda, after taking the rest of the Fallout licence from Interplay’s dying grasp. It would rock because: It’s sort of obvious, isn’t it? Fallout games always featured one of the most impressive post-apocalyptic settings ever, and being a huge RPG at heart, the leap to a MMORPG won’t seem strange at all. There’s an incredible amount of lore to use, with amazing settings, twisted characters and so on. You would be forgiven to look at Fallout 3 and think of it as a MMO game (hint, hint). Joss Whedon is the man behind acclaimed TV shows Buffy the Vampire Slayer and Firefly. The latter was rather short-lived, being canned by Fox after only eleven episodes. It achieved cult status, the entire season (14 episodes) was released on DVD and it even ended up with a film based on the series, Serenity. 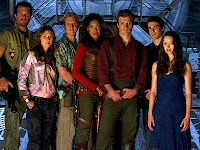 Multiverse acquired the rights to a Firefly game and announced a MMO back in 2006. Since then there has been no new info, apart from the cancellation news that came with the new announcement: Multiverse acquired the rights for a MMO based on Buffy the Vampire Slayer. No new info on the Buffy MMO since the reveal back in September 2008. History repeats itself? It would rock because: Firefly was a peculiar show, with great characters, fantastically clever dialogue and an universe that would perfectly fit a MMO. There was clear potential. I can see all Halo fans jumping at the idea of a Halo MMO. The rumour was indeed true and came to light after Ensemble’s closure. The Age of Empires developer was working on the Halo MMO between 2006 and 2007 before Microsoft decided to cancel it. A few screens and artworks were then discovered, and the question still remains: is anyone currently working on a Halo MMO, and if not, why? It would rock because: Halo has an impressive community, and even if this MMO were to be released only on PC, a large chunk of it would happily gravitate towards the computer. Yes, the Halo brand is that strong. And why wouldn’t Microsoft make the game for both PC and Xbox 360 platforms? It wouldn’t be the first console MMO.